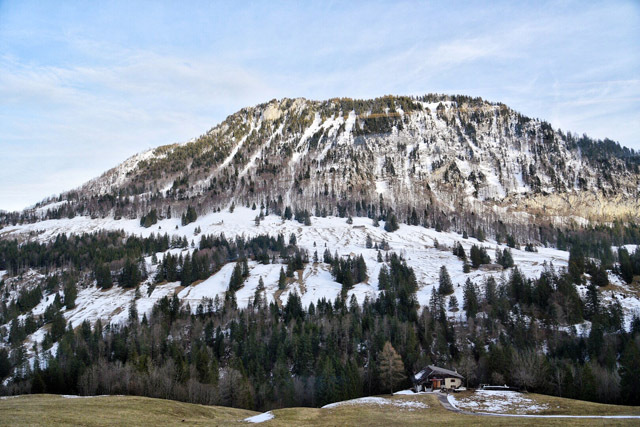 Atop a hill, overlooking the snow covered houses of Gstaad, there sits a palace. 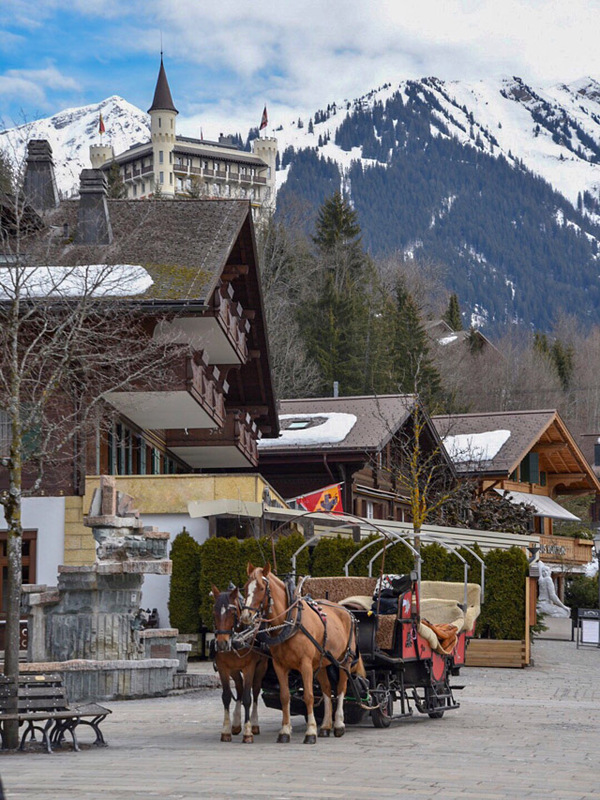 And yes, everything you are about to read is going to sound as if this is a fairytale, rather than a travel review, as Gstaad Palace is a magical place that you could easily believe exists in a book of bedtime stories, alongside a beautiful Princess and a handsome Knight. 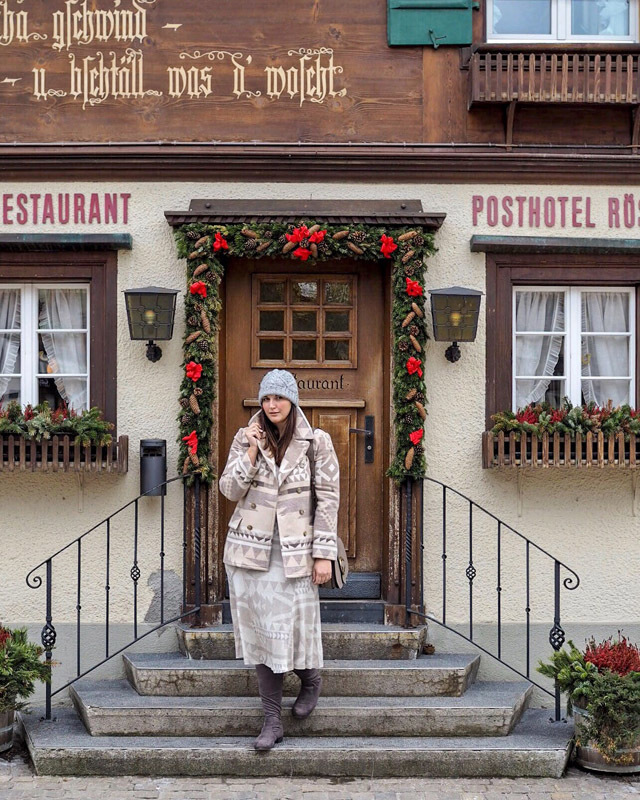 Sadly, I bear no resemblance to Sleeping Beauty or Snow White, but my 48 hours as a resident in Gstaad Palace made me believe I was resting my head in a far away world. 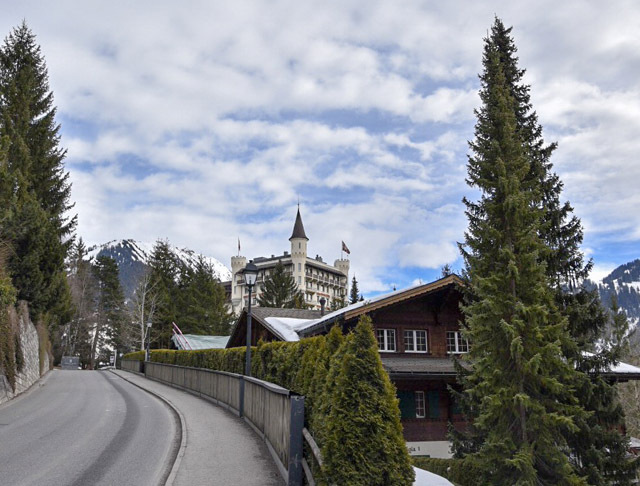 Located less than a ten minute walk from Gstaad train station, Gstaad Palace is actually the first thing you notice as you drive, train or bus yourself into town. 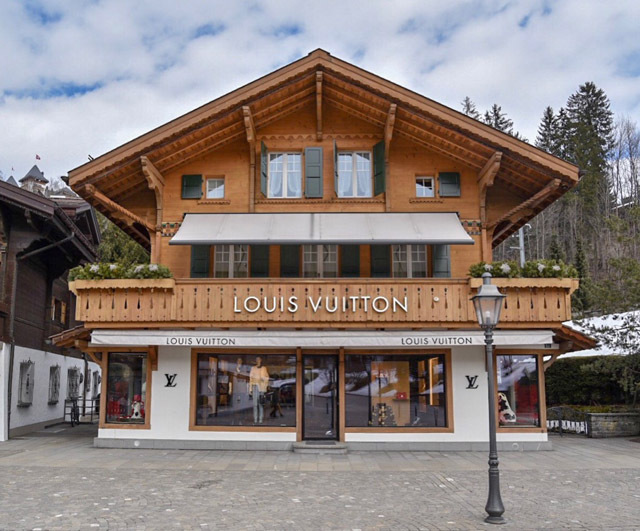 It sits, with a watchful eye, above Gstaad, with an air of grandeur that isn't quite intimidating, but is definitely hard to ignore. As we wound our way up the hill, towards the entrance, the turrets came into focus and the scale of the building itself was accurately assessed. This 95 rooms and suites hotel is no shrinking violet and has had its fair share of famous faces climb this hill many a time since its founding in 1913. If their guestlist were public, it would read like a who's who of the world's most beautiful people over time. 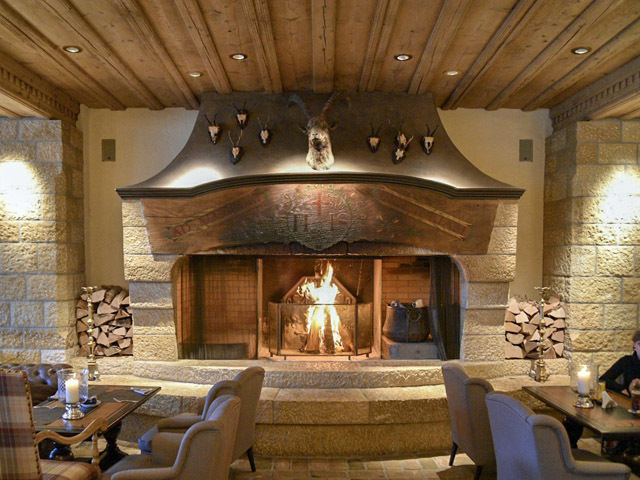 Princess Diana, Grace Kelly, Elizabeth Taylor, Richard Burton and Roger Moore have all called Gstaad Palace home at one time or another. Wikipedia will even tell you that Michael Jackson fell so in love with the Palace that he once tried to buy it (I've yet to confirm this rumour, but I'm putting it out there because it had to be said). It's easy to understand the appeal. 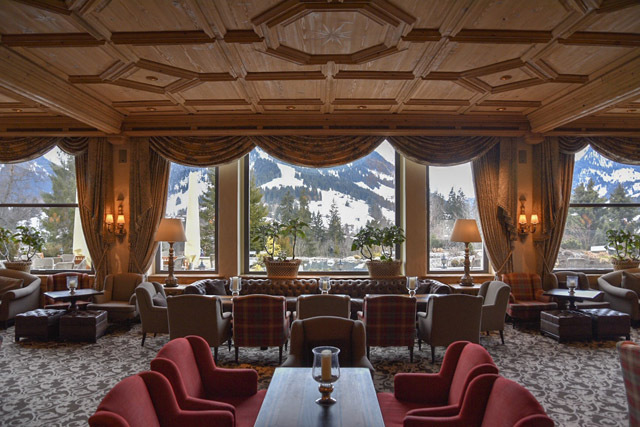 Gstaad Palace may exist in 2018, but it is steeped in tradition and the weight of its history is felt in everything from the keys to your room (old tassel keys rather than the new swipe card system) to the dress code required in dining areas around the hotel. 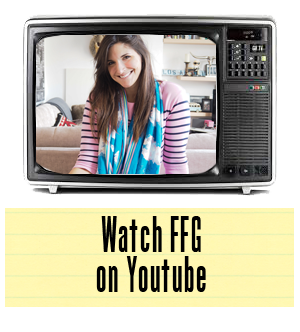 My mornings I spent sunk into an oversized leather club chair with a view of the falling snow outside, my afternoons were earmarked for exploring and my evenings were all about enjoying the fine dining available in the hotel. A whole week could have passed with just this schedule in play, and you wouldn't hear a word of complaint from me. 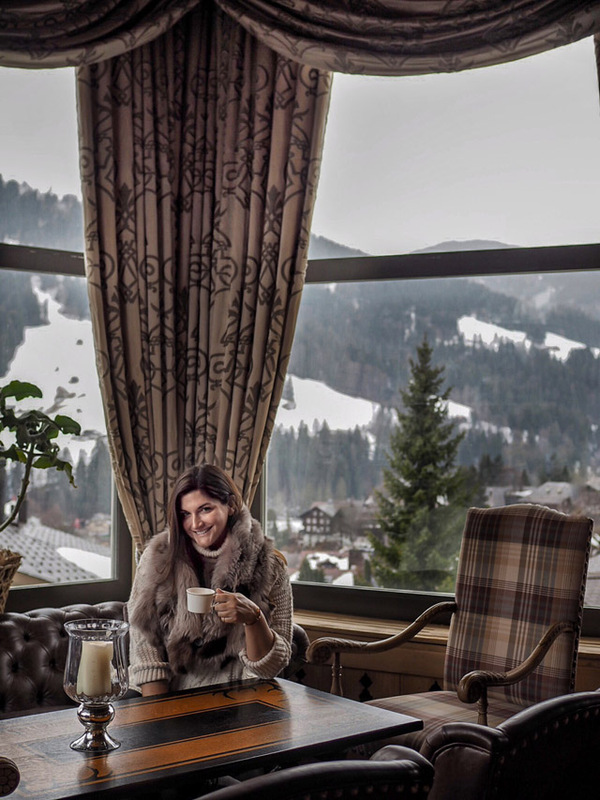 One can be as relaxed or as active as one desires to be and you'll find no judgement on either side of that choice here at Gstaad Palace. 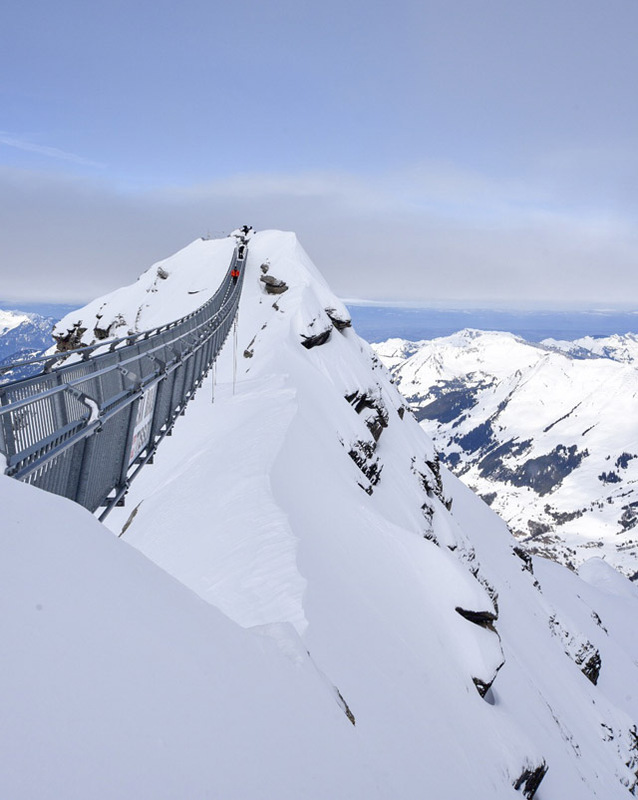 If you are in Switzerland to ski, the Gstaad Palace hotel chauffeur will take you, and all of your kit, straight to the slopes and back as often as your heart desires. 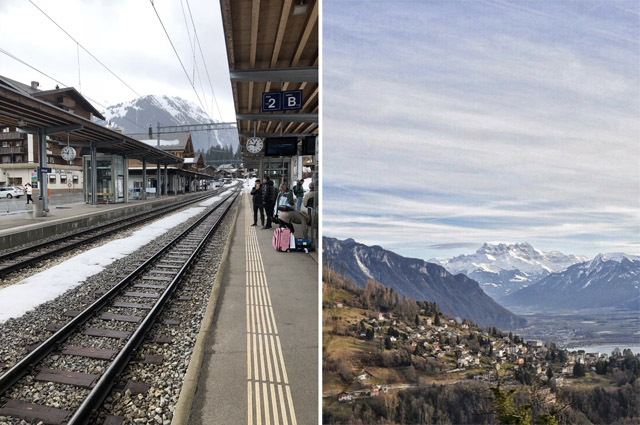 If you long to sightsee, Gstaad is a five minute walk away and the train station, only ten minutes by foot, can whisk you away to any nearby villages in an instant. Or, if you are looking for peace and quiet, you needn't leave the hotel at all. Reading areas around the hotel are plentiful, starting with your own balcony with a view of the mountains that is unparalleled. 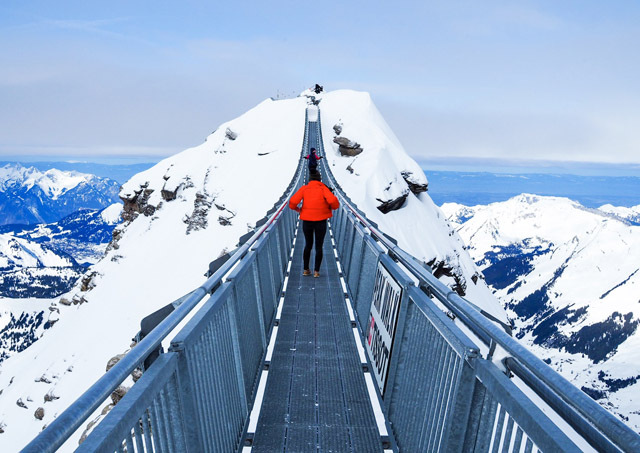 There's also the Gstaad Palace spa, which has seen a recent renovation, and is one of the most luxurious you will find in Switzerland, complete with outdoor pool and jacuzzi for those brave enough to face the chilly fresh air during the winter months. 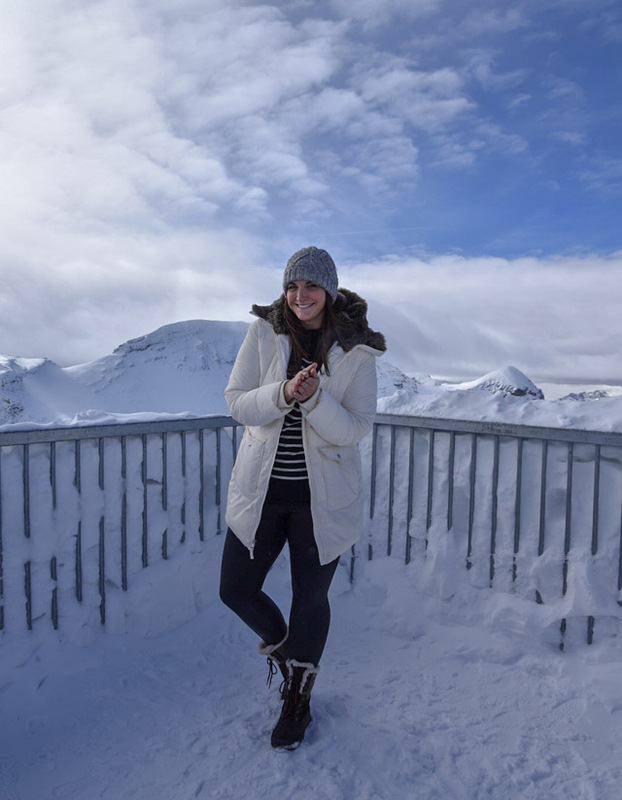 For my 48 hour adventure, I found myself climbing to the top of Glacier 3000, for a hot chocolate with the ultimate view and a rather daunting jaunt across the world's first suspension bridge. 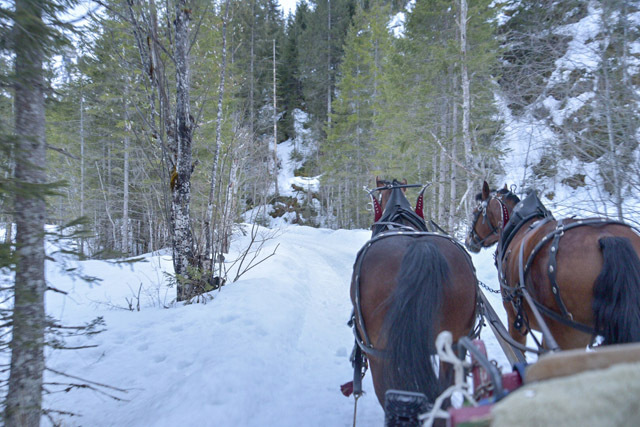 We were then spotted moving at a rather fast pace through the forrest in a horse drawn carriage, in search of a far away cheese fondue spot. 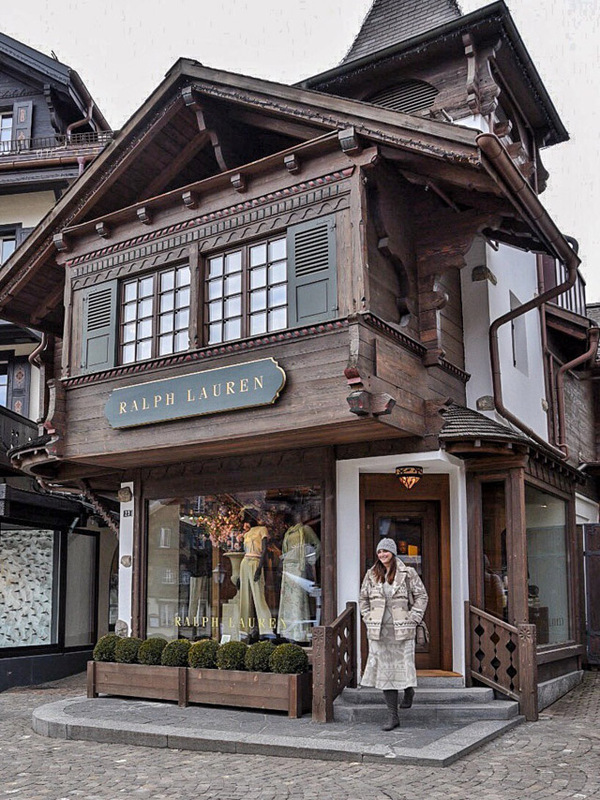 There was even a pound or two spent in the world's smallest, and most charming, Ralph Lauren store in Gstaad. 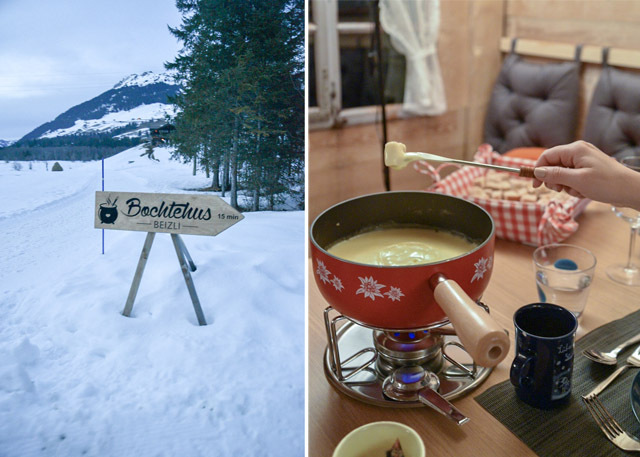 Hot chocolates were served by the half dozen and a spa treatment in Gstaad Palace may have changed the course of my destiny (yes, the massage was that good). 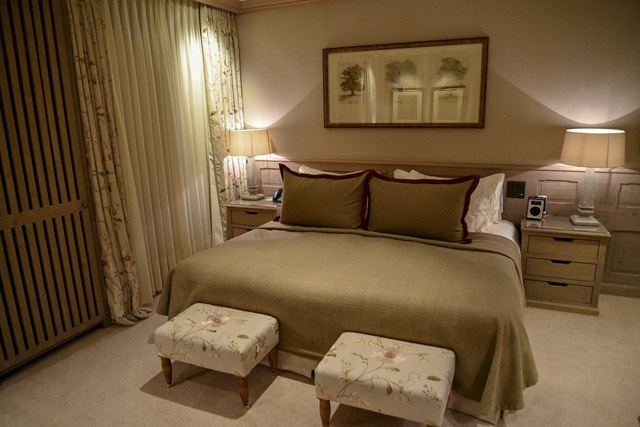 But, perhaps the most memorable part of my whole trip was the moment I laid my head down on my pillow at Gstaad Palace for the first time. When in Switzerland, I always sleep with the windows open, no matter the temperature. The air here is medicinal. I swear it's capable of healing anything that ails you. For me, I found a cure for my recent insomnia. Within five minutes of laying my head down, I was out like a light, and slept straight through until morning, on a bed that felt as if I were laying amongst the clouds, with the world's freshest air filling my lungs. It was simply restorative. There are many places one could visit on this great big globe of ours. 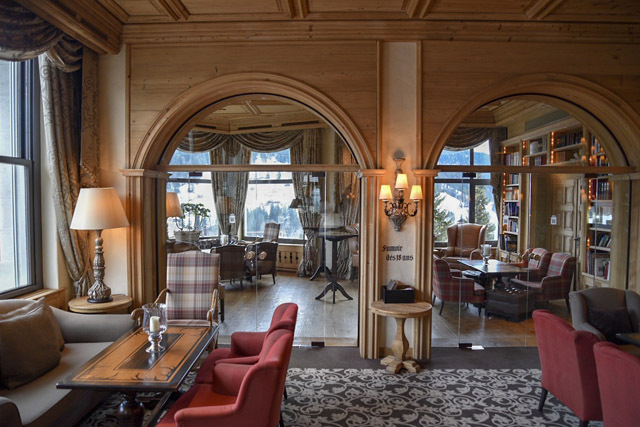 But, should you be compiling a list of musts for your travel future, make sure Gstaad Palace has a prime spot. This is a place not to be missed, with a location that can't be beat. There's a hot chocolate with your name on it, sitting in front of a roaring fire with a view of the winter flurries falling outside. Could there be anything more idyllic to look forward to? 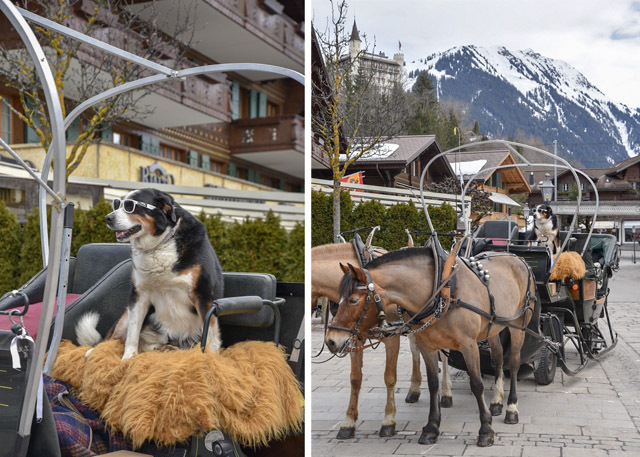 Gstaad Palace, I'll be back... Until then, here's a look at the adventures had while in residence on this trip. 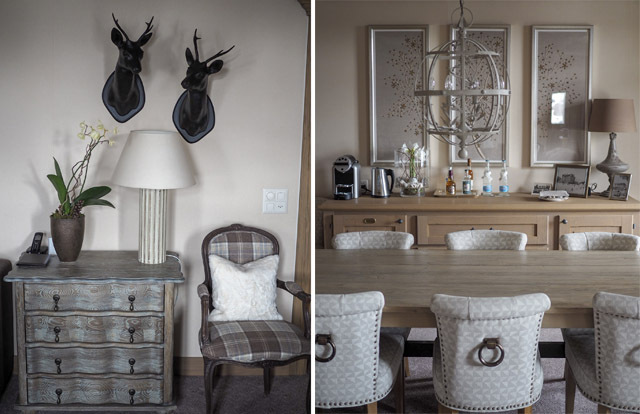 Welcome to the Gstaad Palace. A room with a view and the power of a good night's sleep. 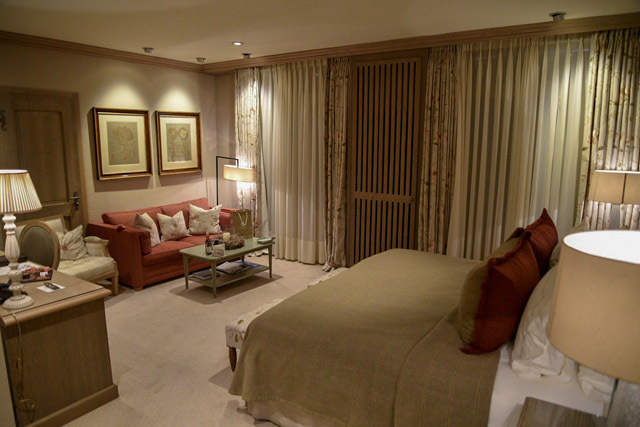 The devil is in the details with the beauty of a tower suite! 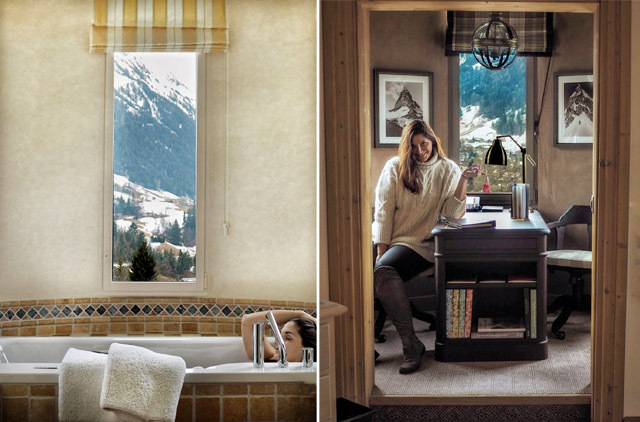 Getting lost in the tower suite... bath and study with a view. 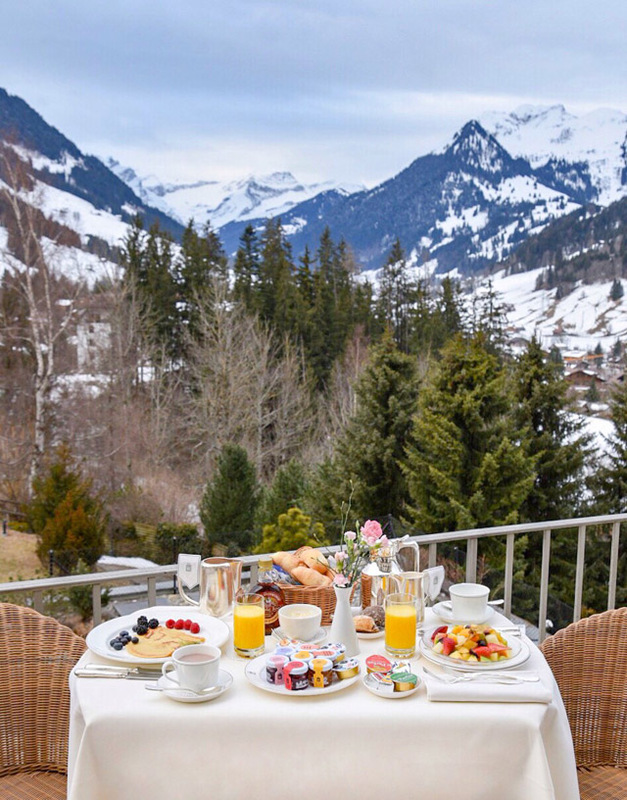 Breakfast with the world's most spectacular view. 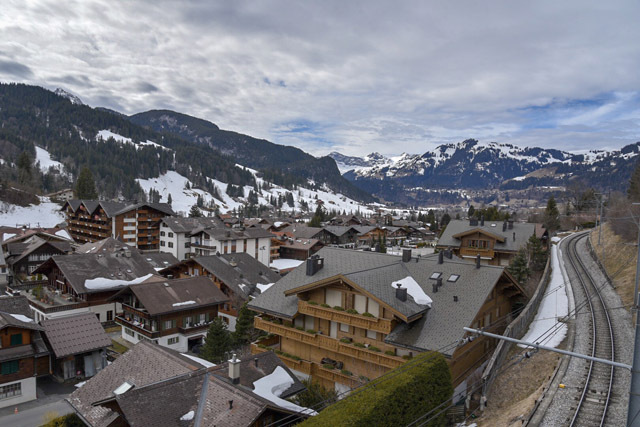 The view from the hotel, looking down upon Gstaad. One of about fifteen hot chocolates I had over the course of my stay in Gstaad Palace. 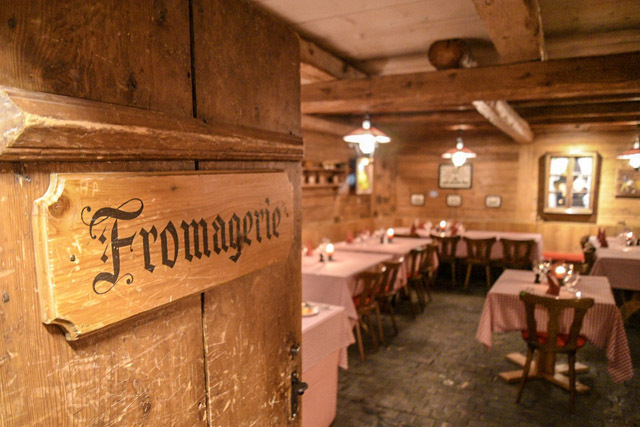 The Fromagerie in the Hotel. This is fondue heaven! 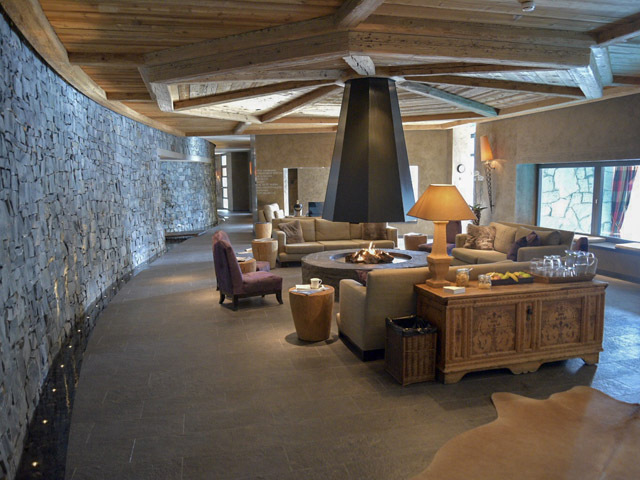 The Gstaad Palace Spa Lounging Area. 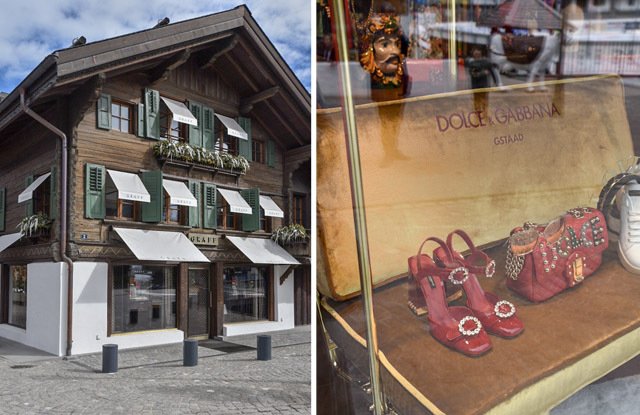 Exploring the beauty of the town of Gstaad. Taking a horse drawn carriage to dinner (the most magical of moments). 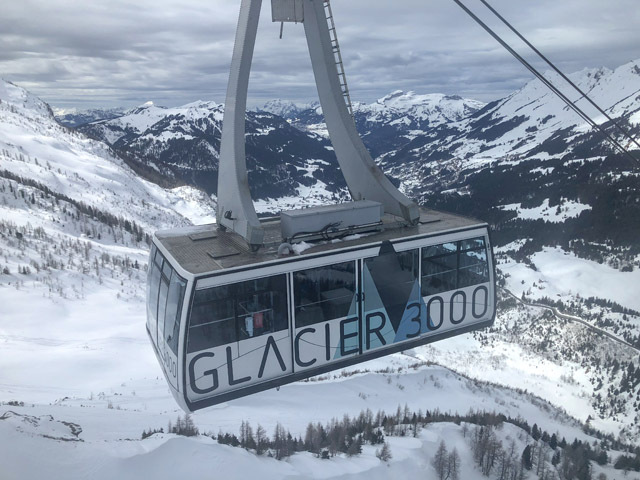 An Afternoon atop Glacier 3000. 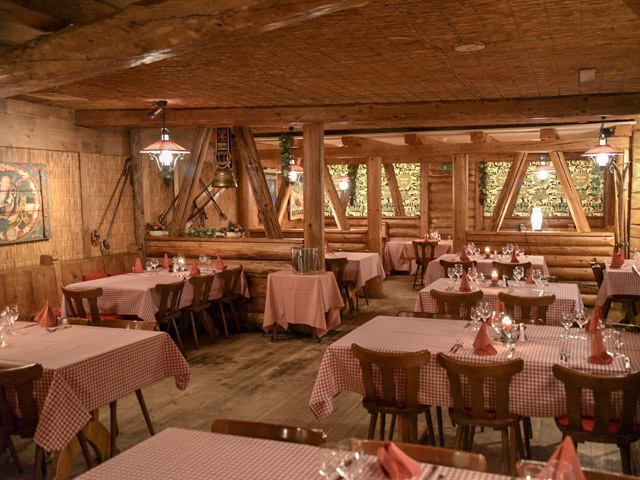 Fashion Foie Gras was a guest of Gstaad Palace.